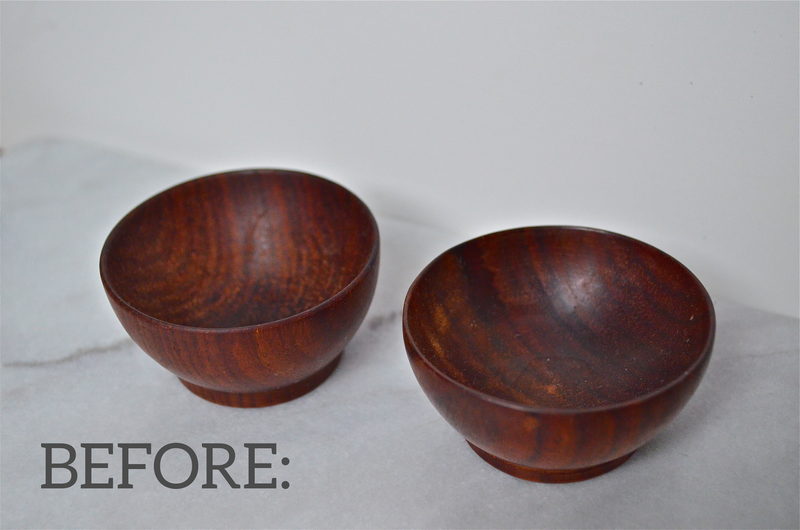 These small wooden bowls were purchased by moi – more than 8 years ago when I lived in New York City. I remember buying them down in Chinatown one Sunday afternoon as I strolled through Pearl River Market – it was a time when I had time to kill. 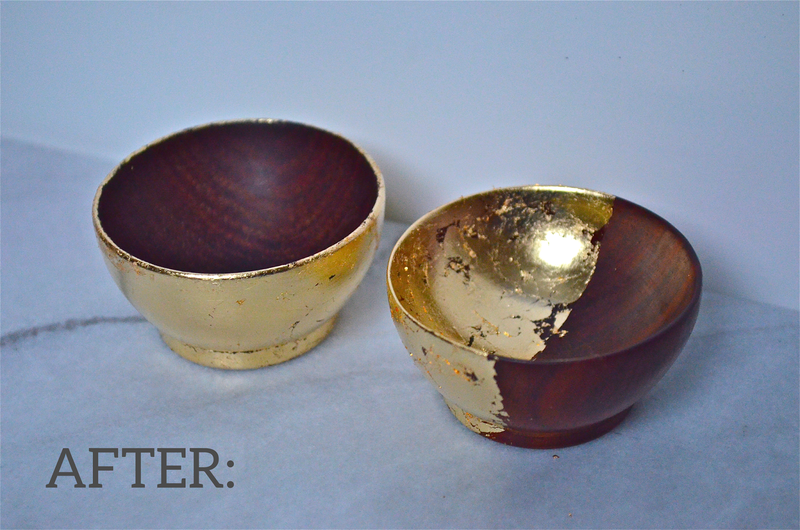 Back then I was particularly interested in buying useless stuff… When I bought them I envisioned using them as salt and pepper bowls with small silver spoons. I never did find/buy those spoons. And so those bowls sat in the back of a cupboard and moved from Murray Hill to the Upper East Side to the CT suburbs. Well hello again old friends. So nice to see you all dolled up! And then I went a little “gold” crazy! I had this simple wooden frame that I felt could use a little sprucing up. Agree?